Click. Copy. Paste. Click. Click. Ever get that feeling that providing great support is more keyboard power than it is brainpower? Anybody who deals with support requests on a daily basis will know that being able to manage tickets effortlessly is half of the battle. The stress of multiple requests, resolution time pressures, and a myriad of different tools can make support one big headache. At Nickelled, our aim has always been to make things easier for support staff. That’s why this week, we're pleased to announce an integration with the world's most popular helpdesk software, Zendesk. If you haven’t heard of Zendesk, it’s a globally recognized leader in support, providing solutions to over 100,000 companies around the world. Nickelled's new Zendesk integration brings the simplicity of Nickelled guides — and the ability to show instead of explaining the fastest route to a resolution — to the Zendesk interface for the first time. 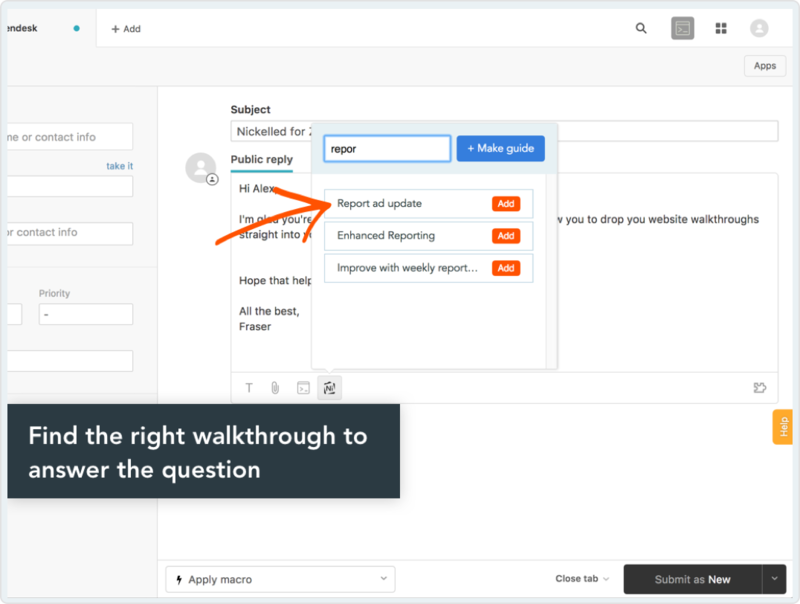 Now you can effortlessly send a walkthrough from within the help desk interface, without needing to navigate around, drastically cutting the support resolution time for tickets. Simply search for the guide and insert it into the ticket answer - the recipient will be able to launch the guide from within their interface easily. If you are an existing Zendesk user you can check out the new integration today at this link. We’re looking forward to launching new integrations with other support software too - if you want to work with us, drop us a line. 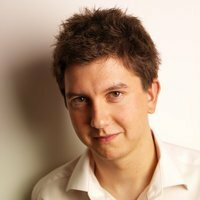 Similarly, if you have ideas for integration partners that would make your life easier, just drop us a note through to help@nickelled.com.